It's not until he reunites with Morgan of Shadows and Randall that he realizes just how much worse things could be. Because the scars have meaning and hint at Myrin's true plans for Sam and the Kingdom of Verania. With time running out, Sam and his band of merry misfits - the unicorn Gary, the half-giant Tiggy, Knight Commander Ryan Foxheart, and the dragon known as Kevin - must travel to the snowy mountains in the North and the heart of the Dark Woods to convince the remaining dragons to stand against Myrin. Along the way, Sam learns secrets of the past that will forever change the course of the future. Holy hell!!! TJ Klune has knocked it out of the ball park with this series and then when you turn it into an audio book with a narrator as talented and just innately tuned into the story as Michael Lesley is...well, you've created a monster of the best kind. I thought the first two books were incredible and they were...are but with each successive story this just gets better and better...I gave the first two books 5 stars and I'm doing the same again here because for me it's not really a matter of each book gets better it's more a case of each part of this story remains equally as amazing as the one before it was. So yes, to begin with if you haven't read or listened to 'The Lightening Struck-Heart' or 'A Destiny of Dragons' stop now and go fix that because this is truly one big epic fantasy story and you need all of it in order to truly appreciate and understand what's happening. To be quite honest I've read and listened to the audio book for the first to parts of this series and still I would happily go back and listen to them all over again and I will as soon as time permits because without a doubt this is going to be one of my favorite series EVAH!!! This part of the series essentially picks up where 'A Destiny of Dragons' left off and we get to spend more time with Sam of Wilds and his entourage of interesting and unusual friends. I've pondered on more than one occasion who's my favorite and while I have to admit I am so totally a fan of dragons...when it comes to this bunch I just love them all. As a collective they work and somehow one without the others just wouldn't be a good...so I feel no need to choose and I simply adore each and every one of them. 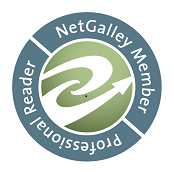 As the adventure progresses in this story so does the danger to all involved. Sam is reunited with his mentor, Morgan of Shadows and Randolph only to discover that there are secrets so any secrets and not only do they threaten the faith and trust that he has always had with Morgan and begrudgingly with Randolph as well but the very well being of Sam, his friends and the whole of Verania as well. Also just a bit of a heads up the story doesn't end here and this one's definitely left us sitting on the edge of a cliff...a seriously freakin' scary cliff but fear not the next book is already out so if you can't wait for the audio book to be released there is the e-book currently available and if you're like me you may have hopes of reading the book before the audio comes out because this one's worth experiencing once or twice or maybe a few times more. Like the previous books 'The Consumption of Magic' is filled with adventure, action, laughter tears...so freakin' many tears...TJ, Kleenex called to thank you for the boost to their sales...ffs!!! you need to stop this...no, no actually you don't because as much as you're books tend to shatter me into a millions itsy bitsy pieces each time the adventure is done you've put me back together so I'm going to trust that you'll do the same with this one as well. Just keep writing stories that are unputdownable. Yeah, it's a word...hey, google said so and google would never lie to me (just FYI I typed this with a straight face). So if you're still not convinced about this book...this series, well all I can say is you need to go to GoodReads or Amazon and read some more reviews because they're out there a whole lot of really, really awesome reviews for a really, really awesome book...seriously check it out. 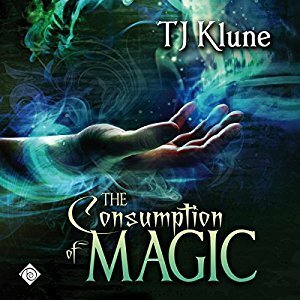 An audio book of 'The Consumption of Magic' was graciously provided by the publisher in exchange for an honest review. Heidi is one of my favorite authors so I'm definitely looking forward to this one!